Obama should use the State of the Union address next week to declare an end to playing-to-the-base politics. As Massachusetts' Senate race shows, voters don't want more ideology—they want problem-solving. Avlon is the author of Wingnuts: How the Lunatic Fringe Is Hijacking America. Independent voters finally have the political establishment’s attention. The red state vs. blue state fiction that has dominated politics for too long is starting to be seen as the fraud it is. Under the play-to-the-base vision of politics bequeathed to us by Karl Rove, a stereotypical “blue” state like Massachusetts never should have voted for a Republican. The Democratic Senatorial Campaign Committee apparently believed that as well. Some liberals are now counseling President Obama to abandon the center that got him elected. That’s not the message independents in Massachusetts were sending. But the 51 percent of Massachusetts voters who are registered independent didn’t get the memo. They’re the reason that the Bay State voted for three Republican governors beginning with Bill Weld between Mike Dukakis and current Gov. Deval Patrick. And this week they declared their independence again by voting pro-choice Republican Scott Brown to succeed Ted Kennedy in the Senate. While conservatives crow about Brown’s victory, misreading it as a mandate for their movement, liberal Democrats are in denial. It’s no coincidence that these voices resemble Republicans after independents threw them out in 2006. Jeb Bush sidestepped his brother in the White House and cast the blame on weakness in Washington, saying, “Republicans have lost their way. We have become timid." Rush Limbaugh said, "Republicans lost last night but conservatism did not,” clearing the way for the arguments endlessly offered by the right wing since: Conservatives lost control of Congress because they weren’t conservative enough after half a decade of unified control. Now liberals are saying the Democratic Congress and president aren’t popular because they haven’t been liberal enough. Opposite teams are singing the same tune. These arguments are comforting to the extremes because they are self-reinforcing—they say no change is needed except to play further to the base. They ignore some essential facts. According to the Pew Research Center, only 15 percent of Americans call themselves conservative Republicans and 11 percent describe themselves as liberal Democrats. Independents are the largest and fastest-growing segment of the electorate—and their ranks are rising in reaction to the polarization of the two parties. Independents have actually been consistent between 2006 and today. They are fiscal conservatives but liberal-to-libertarian on social issues. They are deficit hawks going back to at least Ross Perot’s independent campaign for the presidency in 1992. And they distrust the ideological arrogance and legislative overreach that tends to occur when one party controls both Congress and the White House. That was true under Bush and Tom DeLay and it's true under Obama and Nancy Pelosi today. Some liberals are now counseling President Obama to abandon the center that got him elected and instead embrace a new populism to match the conservative protester crowd. What they mean is play to the base even harder than before. That’s the argument liberal House Democrats are using to explain their refusal to vote for the comparatively centrist Senate health-care bill. They are echoing the advice of previous polarizing party icons like Jesse Jackson, who argued that the reason Democrats had lost more than 40 states in three consecutive elections beginning in 1980 was that they had not been offering a clear enough contrast from Republicans. That’s not the message independents were sending. The only exit poll taken on this special Election Day was done by Fabrizio McLaughlin, and it showed that 52 percent of independents said they voted to “send a message to Washington” and 63 percent said they opposed the health-care plan. Despite that, 53 percent of independents said they had a favorable impression of Barack Obama and 55 percent said they disapproved of congressional Republicans. Conservatives should put the victory Champagne back on ice. 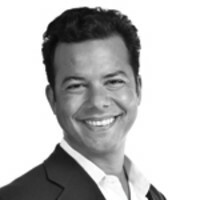 John Avlon’s new book Wingnuts: How the Lunatic Fringe is Hijacking America will be published soon by Beast Books both on the web and in paperback. Advance orders can be placed here. He is also the author of Independent Nation: How Centrists Can Change American Politics. Previously, he served as chief speechwriter for New York City Mayor Rudy Giuliani and was a columnist and associate editor for The New York Sun.